What’s the weather? Do you catch yourself looking to the sky? Aristotle, a Greek philosopher, used the word meteor to describe “things in the air.” Temperature and precipitation are the two main climate factors, although elevation, latitude, prevailing wind direction, topography and ocean currents also affect climate. Weather forecasters, called meteorologists, work with elements in the air: rain, snow, ice, clouds and pollution, to study information from weather satellites, radar, computers, sensors and observers all over the world. 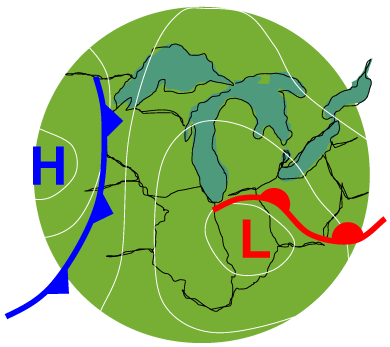 The earth has a general climate system subdivided into areas for an understanding of developments in weather that effect the world as a whole. Using the Köppen Climate Classification System, there are five base climates and ten subgroup climates. Play Climate Zones Flashcard Matching to familiarize yourself with the zones and their different characteristics. Defining climate patterns tells what may come next or what the result of one action might be and what will have to happen to balance things out. Scientists now understand that weather in one region effects weather worldwide. Watch the sky and dress for the weather! Activity 1 – How can you help prevent global warming? Is global warming real? Are humans really impacting the atmosphere? Check out NOAA’s Paleo Perspective on Global Warming. Take a look into Paleoclimatology. Use a carbon footprint calculator. Make a list of ways that you can live to use less energy, consume fewer products and help to prevent global warming. Activity 2 – Be a Skywatcher!!! Chart a week’s worth of weather. First, check the sky in the morning. Make a weather forecast. Predict if it will be sunny, partly sunny, partly cloudy, or cloudy. Predict the percentage chance of precipitation. Predict whether there will be a breeze, a wind, or a gale force! Next, check with the paper or online weather source and see if your forecast measured up to the meteorologist’s. Chart the high and low temperatures. Be a skywatcher! There is the kind of weather we enjoy and then there is severe weather. Severe weather is a localized condition such as a severe thunderstorm possibly with damaging wind and hail, dense fog, tornadoes, hurricanes, typhoons, extreme heat or winter blizzards. Flooding can also be considered a severe form of weather. 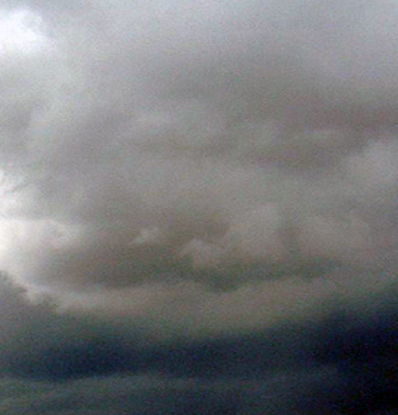 Find out what kind of severe weather is common in your climate and learn ways to prepare for it. Think of your essential needs: air, water, food, shelter and perhaps mobility (what about evacuation routes?). Locate the best protective area in your house and pack some water bottles and food that is non-perishable. 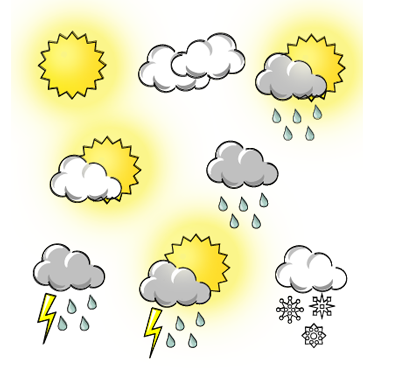 Make a journal entry about where you will go and what you will have prepared in the event of severe weather. Think Ahead! Be Prepared! Be Safe! Climate is weather conditions over a period of time. Temperature and precipitation are two main climatic features. Weather watchers only need to look at the sky to predict the weather. Which two things have the greatest effect on Earth’s climate?